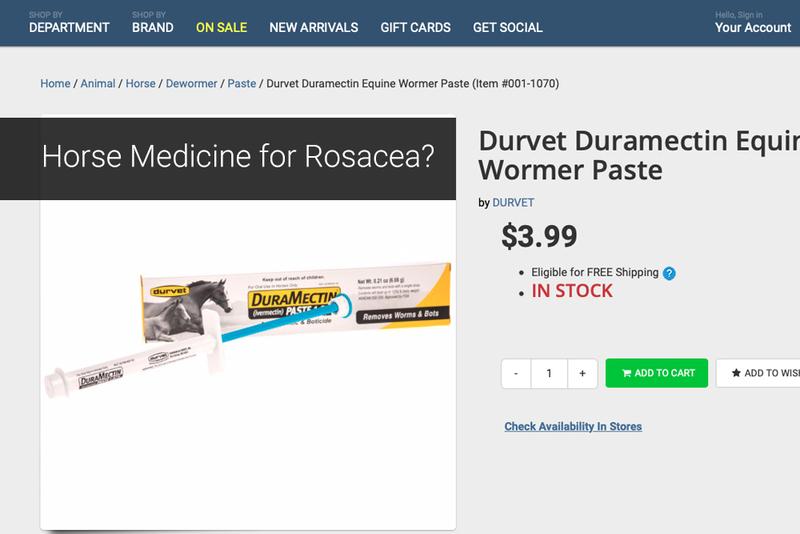 Some rosacea sufferers are using a $4 horse medicine in place of prescription SOOLANTRA® (ivermectin) Cream, 1%, according to this INSIDER article. The veterinary application of ivermectin is available at veterinary supply stores and online – no prescription needed. Buyers say the price of Soolantra and the requirements to obtain the drug via step therapy are motivators for using the horse medicine. How should you respond if a patient asks about using veterinary ivermectin for rosacea? For an expert opinion, I consulted dermatologist Diane S. Berson, MD, FAAD. Dr. Berson is associate clinical professor of dermatology at Weill Medical College of Cornell University, New York. What are the safety concerns of using veterinary ivermectin in place of Soolantra for rosacea? Veterinary ivermectin has not been tested on humans, and the vehicle is also different from the one in Soolantra, which underwent vigorous safety and efficacy studies before being approved by the FDA. The percentage of the active ingredient is also higher; this stronger product and the additives in the veterinary formulation could potentially cause reactions in patients. I would not recommend using veterinary ivermectin. How should dermatologists counsel their rosacea patients who are considering veterinary ivermectin because of the low cost? It’s tough. The entire “prior authorization“ process can be challenging and frustrating. I have received help from specialty pharmacies who try to work with the insurance companies to get coverage. I sometimes also give samples for the patient to try. If they tolerate and see improvement, they may be more willing to get it. Depending on what state you are in and the insurance company it can be easier, but I understand not everyone is covered. Make sure your patients know that you – as a board-certified dermatologist – can recommend the best treatments and help make them available. The image featured above was available on the following website at the time of publication.